This season, create your own unique style story with hot indo-western styles. Make a dramatic statement with hot crop tops and flowing maxi skirts. Tap into the playful mood with sheer dupattas and go-to tunics that never disappoints. Traditional clothing in India has been understated for the efforts and the up-keeping it demands. Honestly, who has the time for maintaining yards of fabric on a daily basis that too with the very specific washing instructions and maintenance? But times have changed and so has fashion. 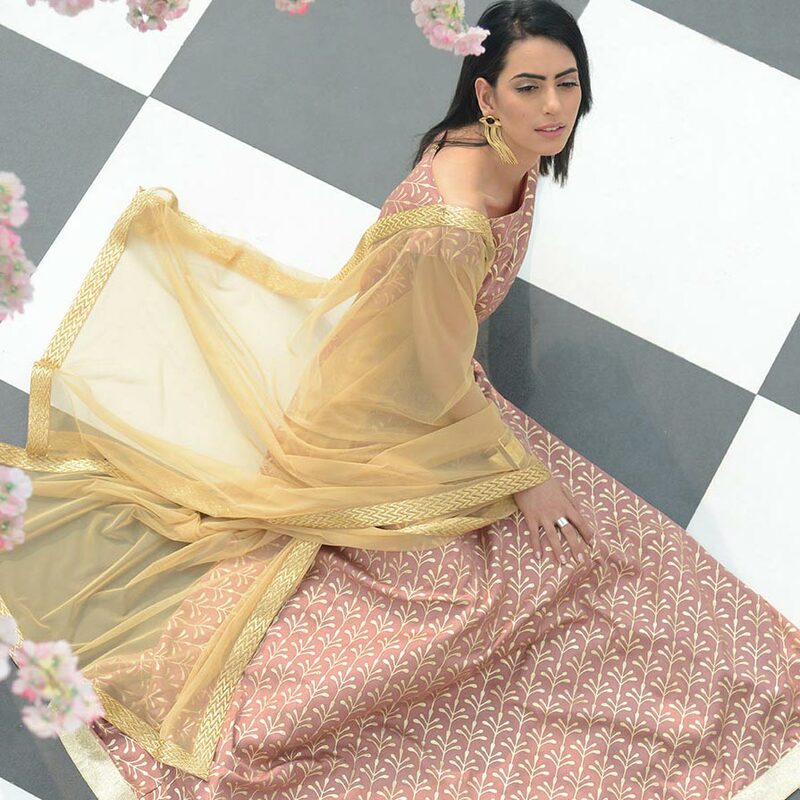 Ethnic Indian clothing has witnessed sort of a revolution with new cuts, designs and prints making way into the wardrobes of the millennials. At present, the designs have seen a fresh wave of revision with ethnic clothes becoming more stylish and wearable than ever. Asymmetric hemlines, capes, creative sleeves, and revival of some old styles has made youngsters rethink ethnic Indian fashion in a completely different light. Ethnic wear is also one of the most creative ways to stay in touch with your tradition. The wealth of patterns, hues and styles witnessed in abundant traditional Indian outfits is unmatchable. 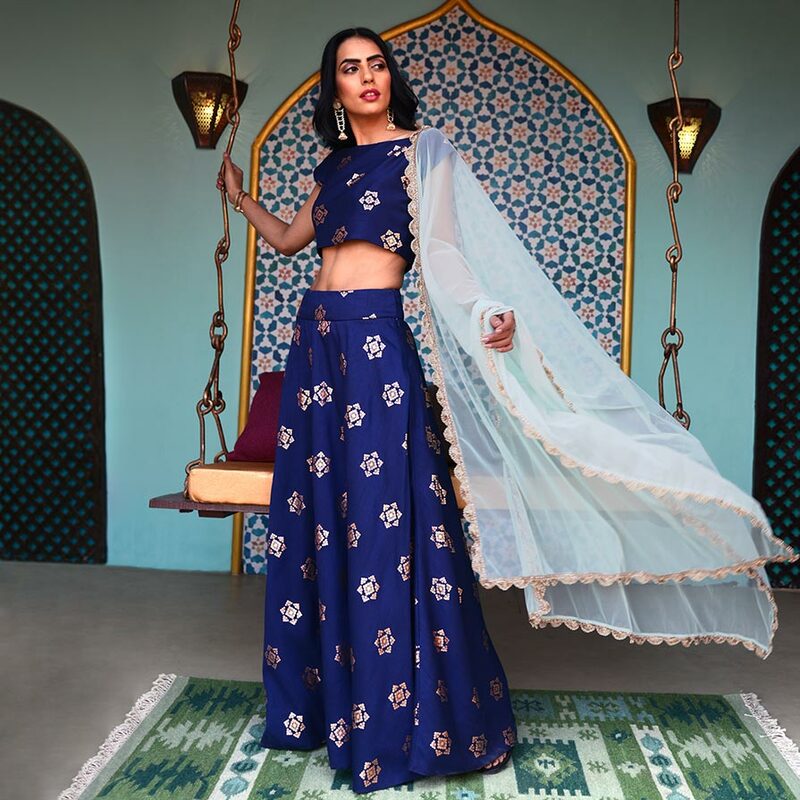 There are magnificent lehengas, wedding sarees, designer anarkalis, even contemporary styles of suit sets, beautiful cotton kurtis, silk tunics, smart ethnic pants and beautiful skirts to brush your daily looks with a pinch of glamour and heaps of elegance. What makes these contemporary versions of ensembles more visually appealing is the digital prints, intricate yet subtle embroideries and sharp cuts to dies for. The sartorial elegance of these garments is determined by their wear-ability to different occasions with just a little bit tweaking of accessories and a few add-ons. 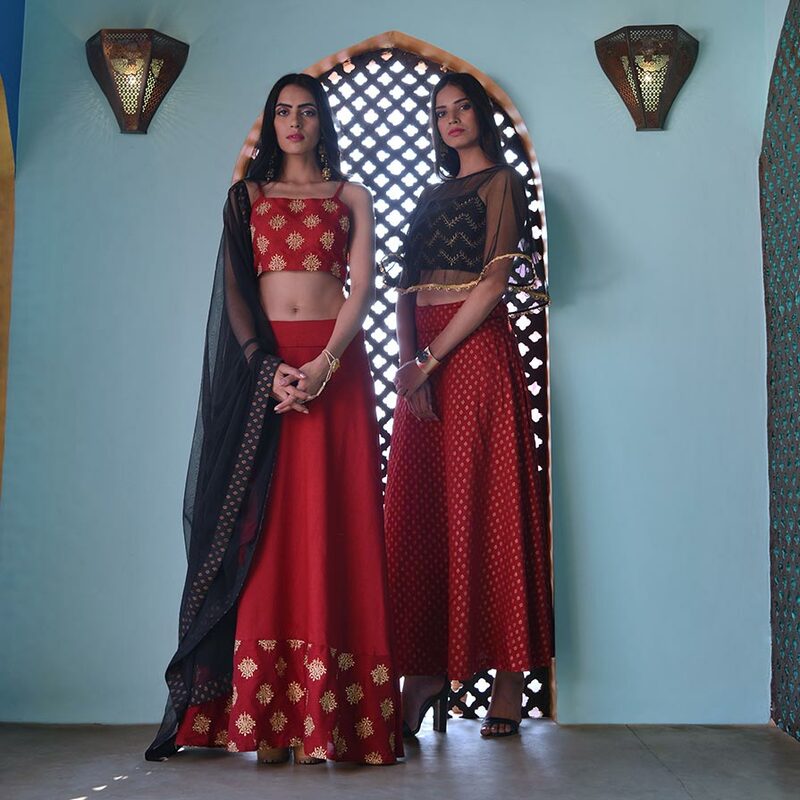 While the traditional designs are perfect for catering to festivals, wedding, sangeets, mehendi and other similar celebrations that call for cultural clothing, contemporary Indian clothing options are perfect for work, casual outings, a lunch with your besties and a series of similar other occasions. 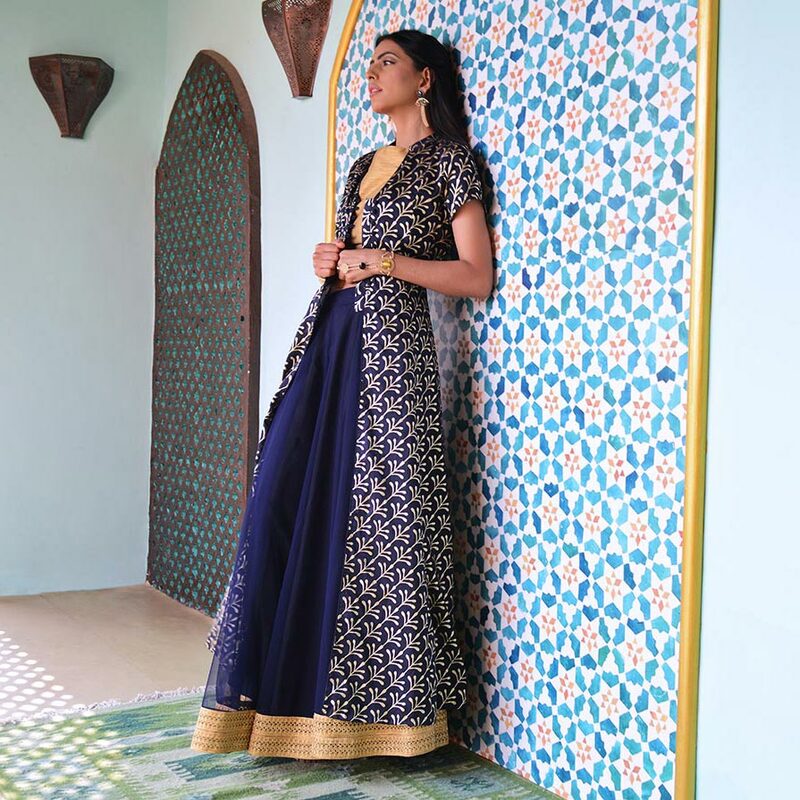 Simple or embellished, designer traditional Indian outfits enhance your everyday look with their subdued yet significant style that gives you a head turning look. Here, we’ll discuss some of the major types of traditional dresses in India that will make you look no less than a princess. There is a huge range of gorgeous kurtas and tunics featuring beautiful foil print that adds subdued elegance and charm to your casual look. You can experiment with a wide variety of colors, designs fabrics and prints that are designed to cater to your occasion specific requirements. Designer kurtas and tunics can be paired with beautiful bottoms and gorgeous dupattas for a complete look. One of the most elegant Indian wear, sarees are pure elegance. Starting from simple, chiffon sarees to heavily embroidered wedding sarees, traditional wear for women cover a wide range of the nine yards in a various colors, designs and prints. A huge category of ethnic wear, lehengas come in a variety of colors and designs. These are perfect to be worn by everyone from the bridesmaids to the bride. Available in innumerable choices of fabrics and embellishments, lehengas are a must for every Indian woman. If heavy lehengas aren’t your thing, simply try on ethnic maxi skirts with foil print. You can also opt for floral silk skirts and bordered ones that will make you look charming instantly. These maxi skirts are available in a variety of colors and patterns, so you are free to pick pieces of your liking. Bottoms make one of the most important part of traditional Indian outfits. The range comprises of ethnic skirts, palazzos, shararas and dhoti pants. These bottoms are generally made of silks, velvets, satins and daily wear fabrics like cotton and viscose, hence these can be worn to a variety of occasions. The floor touching gowns are a perfect blend of western designs infused with the traditional clothing vibe of India. While the decorations on the gown may be age old, the silhouette is inspired from western wedding gowns. This is another range where you are spoilt with choices of fabrics, cuts and gorgeous detailing. Stock your wardrobes with the most elegant and sophisticated range of traditional clothing in India that makes you look and feel regal. Simply log on to HouseOfIndya website and browse through a beautiful range of ethnic skirts, tunics, foil print crop tops, gorgeous dupattas and smart trousers that will easily help you transcend from one occasion to the other. The online platform not only houses a huge collection of traditional Indian outfits but the amazing collection keeps you spellbind. Simply scroll through the website or use our strategically placed Filters to sort garments as per your liking and preference.